built with some very nice SNOT. One would call this thing a jackpot! 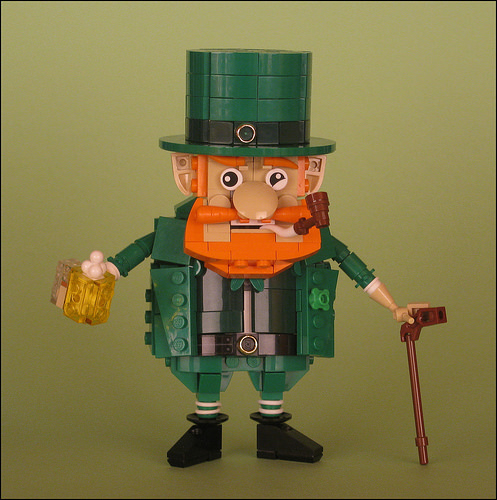 This brilliant charismatic leprechaun is yet another brick-built masterpiece by Timofey Tkachev. I must admit, I’ve never thought a common round 1×1 plate with flower edge could become such a brilliant four-leaf clover, not to mention moustache made of carrots and socks designed with a set of white rubber belts.